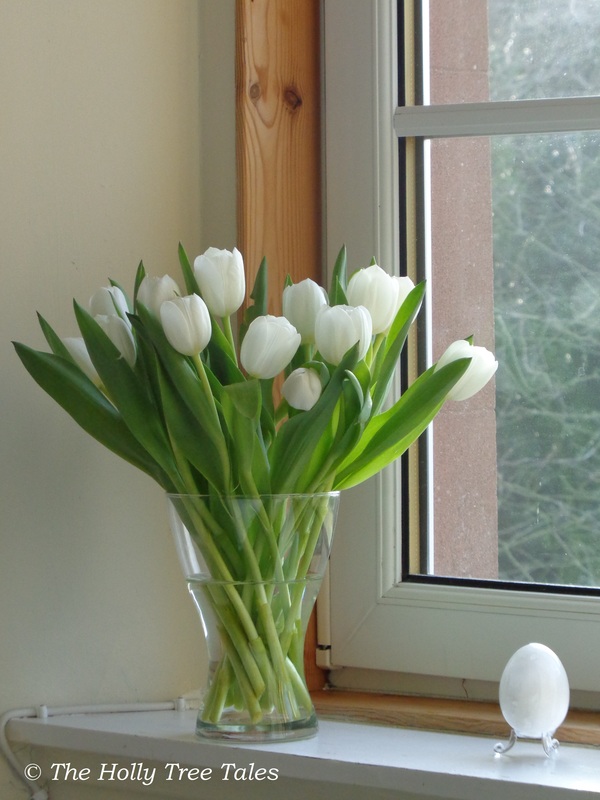 No matter their colour, a simple bunch of tulips is always welcome, with their quiet freshness and stunning simplicity. 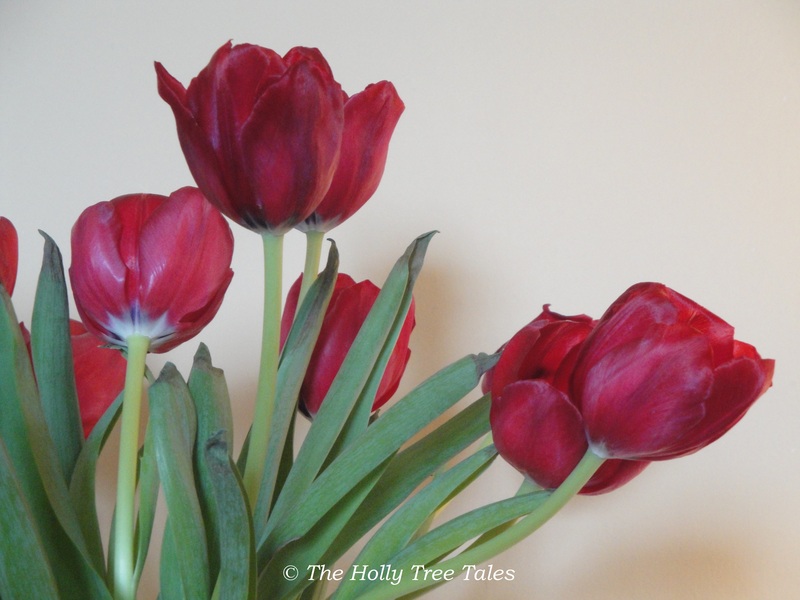 Quite unlike many other flowers, over time tulips fade with elegance, beauty and grace, such as these lovely red ones above, whose blooms matured with ever increasing richness as they lasted on and on. 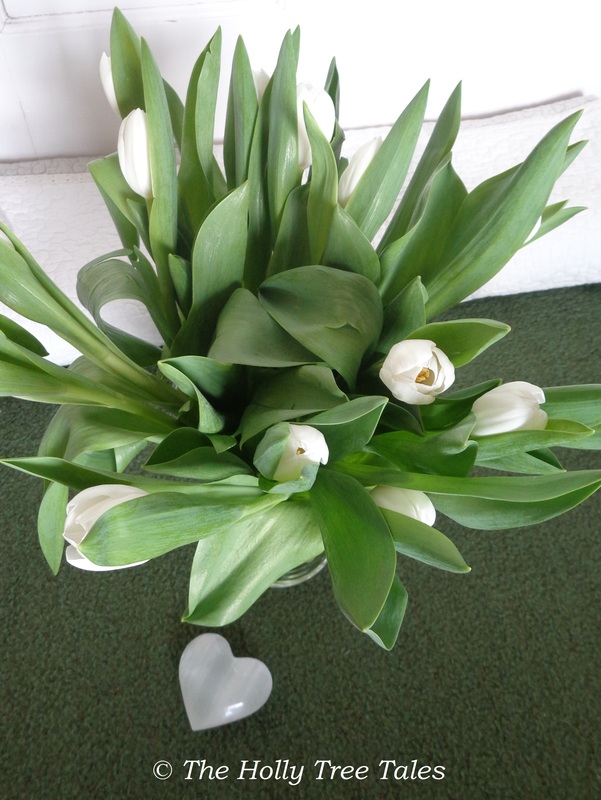 Next time, I shall remove the leaves sooner, to preserve the purity of the flowers’ show! 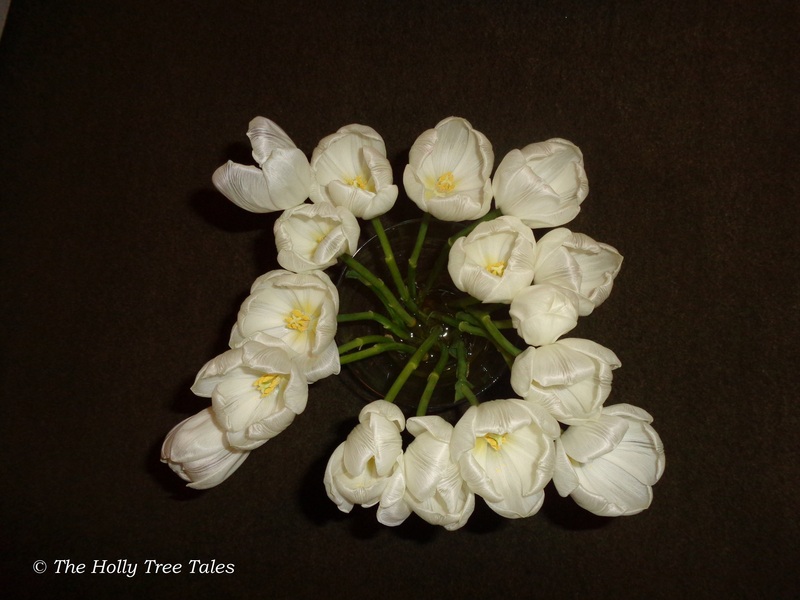 I was given this gorgeous bunch of pure white tulips above recently. Every day it brought me new, delighted pleasure. When the leaves had finished their green sharing, the flowers wanted to hold on to the stage … until they too began to fade … with sheer and singular beauty. 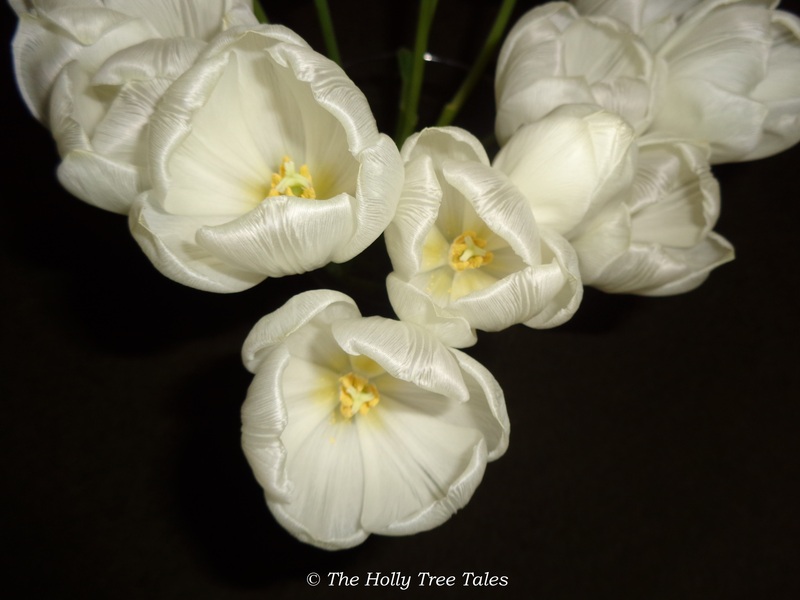 I watched each day, as the pretty petals began to crinkle and gently recede, and the blooms became as delicate-looking as the purest snowy feathers, as silky as gossamer down, so elegant, so fine. 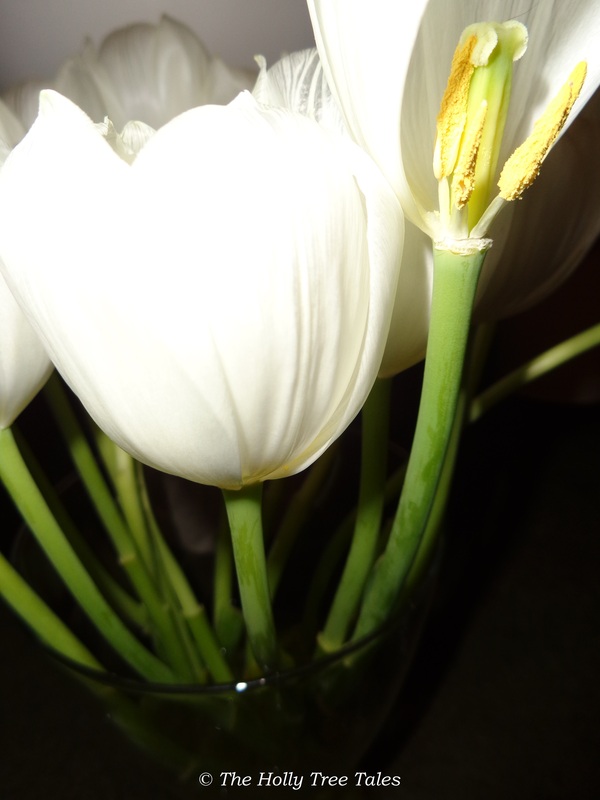 Tulips … so special, from their exquisite freshness to their demure, divine decline.